Our cleaning process is the result of many years of experience working with all sorts of novelty rugs. When we started our cleaning business, our main goal was to fill what we saw as a void: nobody in the Boynton Beach area could guarantee results on some of the more difficult cleaning jobs. After many years of practice and countless satisfied customers, our cleaning method misses nothing and invariably results in a brand new-looking rug, however expensive or delicate it might be. 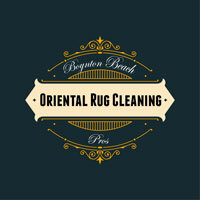 Boynton Beach Oriental Rug Cleaning Pros offer a one of a kind, individualized service for your rug cleaning requests. With unmatched service and complimentary pickup and delivery, our rug experts will exceed your expectations cleaning your rugs. Let us provide you with our white glove service and a rug cleaning consultation to show you why Boyton Beach Oriental Rug Cleaning Pros are the best rug cleaners in Boyton Beach. Our work is guaranteed and we provide a unique experience to our clients. Examining the rug closely tells us all we need to know before we start working. Of course, we'll always ask for general information when we first hear from you, but only a close inspection will provide enough details regarding the rug's past and present to formulate the perfect cleaning plan. After an examination, we'll test each of the rug's dyes – regardless of how many individual ones were used in the manufacturing process – to find out how they react to the substances we plan on using. Some dyes will falter when exposed to moisture, while others can endure heavy chemicals with no loss of color. The area on which we will test the dyes is minimal, and there will be no noticeable discoloration afterwards, even if a dye poorly reacts to something. Once we have a good idea of what the rug is made of and how it reacts to the treatment, we'll clean it in three steps: dry cleaning, hand washing and thorough (yet gentle) rinsing. 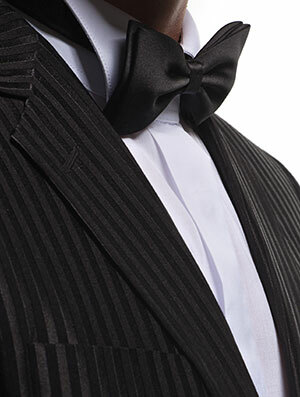 Dry cleaning reduces the amount of dirt and grime and acts as a very effective prelude to moisture application. By the time we start hand washing, much of the unwanted substances have been removed through our use of dry methods. 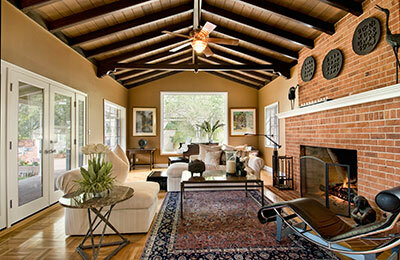 Here, we'll also deal with any stains that might be plaguing the rug, taking care not to cause any additional damage. Lastly, we will wash away all of the moisturized dirt and grime (most often by using bursts of water), leaving behind a completely clean rug. The drying process is equally as complex as the washing one and requires familiarity with how various fabrics from Oriental and antique rugs react to the sun, as well as wringing. Few realize that rugs can get damaged while they're being dried just as easily as during washing. To prevent this, we'll come up with the best drying method that will preserve your rug's size, colors and texture. Afterwards, we'll take an honest look at what we've accomplished and see if there's any need for additional work. We understand that excessive washing can detriment some of the more expensive rugs, which is why we do our best to minimize the chance of repeats when we first clean the rug. If needed, however, we won't hesitate to repeat every step of the process again. We are only content when the rug is good enough to be placed up for auction, and we'll never settle for showing our customers anything coming short of perfection (taking into account the rug's original state, of course). 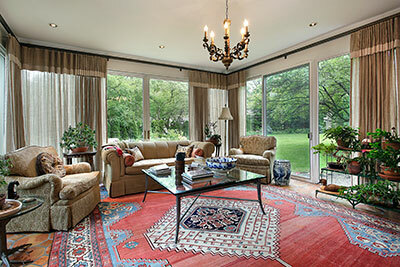 The rugs we specialize in cleaning are best summed up with one word: exclusive. The owners of these rugs can't afford second-grade service, as they have likely parted with a lot of money in order to decorate their home with a unique and exotic design. Oriental rugs are usually the most popular type of rug to import, although we've worked with rugs that come from all over the world, like Greece or Turkey, to name just a couple of places . Oriental rugs come in one of several distinct designs – for example, Chinese rugs might feature motifs related to certain dynasties or emperors, while Indian ones will use an abundance of bright colors. To look out for the integrity of these rugs, we've had to develop many different cleaning plans based on where they come from. For example, only a seasoned professional can tell regular wool from Belgian wool and adjust the cleaning method accordingly. When talking rugs in particular, the term 'antique' isn't too specific – an antique rug can hail from any one out of a myriad of continents and countries. They generally have two things in common, however: they're very expensive, even when talking smaller area rugs, and their fabrics need adjusted treatment. As a fabric ages, it grows more susceptible to external factors, as do its dyes. This is why antique cleaning is such a difficult job – to prevent loss of those unique colors or alteration of the fiber's texture, the cleaner needs to know how certain lengths of time affect a number of commonly-used materials, as well as some of the less-known ones.